Alan Greig offers a round-up of last year’s progress on social enterprise legal models and gives a run-down of what’s to come in 2019. In ramping the potential of social enterprise – and in the face of the twin challenges of “dumbing down” of social enterprise objectives and persistent myopia regarding the diverse possibilities of social finance – work on broader scale social enterprise legal models has been proceeding with a view to expanding their breadth and vision, as well as increasing the likelihood of their sustainability and investability. As a “brief” on progress on social enterprise legal models, the following was achieved in 2018. Crowd sourced equity funding legislation was passed, defining (separately) new business model/legal structures for crowd sourced equity in both private companies and unlisted public companies. As was seen from several stories published during the year, such as Food Connect Raises $2 Million Through Equity Crowdfunding, high profile social enterprises are now availing themselves of this legislation. Legislation defining the “mutual form of social enterprise” was introduced into federal Parliament. See the consultation on the legislation – Treasury Laws Amendment (Mutual entities) Bill 2018. When passed, this will open up new pathways to financing this oldest form of social enterprise by enabling broader capital-raising abilities through the use of innovative financial instruments. The federal treasurer announced in November 2018 a program for making employee ownership more accessible – “good for the economy, good for business and good for employees”. To put this into action, the government will need to create a “definition” of an employe-owned company under corporations law. This will better enable one of the fastest growing forms of social enterprise in the social care field internationally to be further developed in Australia. The first Public Service Mutual (PSM) came into place in Adelaide, South Australia in 2018. On this project, The Mandarin reported last week that PSMs offer hope of higher quality care and support. Several more PSMs are being investigated. The BCCM also hosted a tour by Australian interests of successful PSMs in the UK in August 2018. The finalised list of all Cooperative and Mutual Enterprises (CMEs) in Australia – all 2000-plus of them – was completed by the University of Western Australia. The list can be sorted by name, type, state, industry and turnover, with the evidence that cooperatives are some of the largest and fastest growing forms of “self-sustaining” social enterprise in Australia (see the news on the National Health Cooperative example below). The Get Mutual Co-op Builder is now live. You can access it through the Get Mutual website. This is a free, step-by-step tool to help social enterprise groups prepare and understand the legal documents required to form cooperative social enterprises in Australia. Platform cooperatives are coming to Australia with award-winning, worker-owned, social care social enterprise Cooperative Life in Sydney, on track to set up a platform owned by the cooperative, with the support of the international Platform Cooperative Development Fund program funded by Google. bHive Bendigo became Australia’s first incorporated “platform cooperative”. The “Going Local” tour of Australian capital cities by US expert on crowd-sourced equity/local financing, Michael Shuman, during the week of 4 to 8 February, generated considerable interest in innovative social enterprise legal and financial models. It is clear that more density and diversity of local business ownership means more jobs and more wealth for more people, and that cultivating democratic economic models like worker ownership, land trusts, protection of public assets, and the commons really works. Michael’s meetings with state and local government officials in several states pressed this point. The New Economy Network of Australia has just incorporated as a cooperative and with 3,000 potential members on its mailing list will ensure that its Legal Models Hub, set up for investigating social enterprise legal models, will involve a wide range of lawyers and community interests in the process. Incubator.coop, a new accelerator for cooperative/social enterprise startups held its first workshop (in South Australia) on 4 February. It has eight social enterprises so far involved in the incubator from across Australia. See the article Why The Co-operative Sector Incubator Is Important for more information on its role in the legal models field. The South Australian Thinker in Residence program contracted 2016 EY Social Entrepreneur of the Year Guy Turnbull from the UK to guide a series of events, workshops and think-tanks in the latter part of 2018. Guy is the former CEO of worker-owned social enterprise, Care and Share Associates/Sunderland Home Care Associates (former “Social Enterprises of the Year” in the UK). Guy is preparing his report on the Cooperative Economy in South Australia to present to the South Australian Cabinet. This report will, among other priorities, make important recommendations on progressing social enterprise legal models in South Australia. Some evidence on what is to be presented can be seen in the recent Pro Bono News article SA Urged to Embrace Co-Op Model to Fix Aged Care and Disability Worker Shortages. The largest social enterprise “asset” in Australia until now has been the Tasmanian Land Conservancy. However, this will be eclipsed with the recent announcement of the biggest land-for-conservation deal, raising $55 million from philanthropists to fund the Riverina-based social enterprise’s endeavours to take on the irrigators depleting our arable land and river systems. For more on the legal side of this exciting topic, see the short briefing paper Legal Structures for Protecting the Commons. There has been a long-standing social enterprise of this nature in Victoria – the cooperatively owned land conservancy Kurri Kurri Cooperative, operating since 1983. There will be more in this line of social enterprise coming soon. A federally actioned Hybrid Legal Model for social enterprises – researched through the PM’s Community Business Partnerships group and hosted by the Department of Social Services – looking to incorporate the best of the “community interest company” model in the UK (see Community Interest Companies’ Could Change the Face of Social Enterprise) and the “for social benefit corporation” model in the US, is awaiting referral to the Australian Law Reform Commission for recommendations on what would be the best path for legislative reform in this area. Moves in this area will likely not occur until after the election. For those who say that legal models do not matter, check out the latest news on the fastest growing social enterprise in Australia – National Health Cooperative (NHC) in the ACT – much of which is attributable to the “shared ownership” legal structure it has adopted. The NHC started only in 2010 (as the West Belconnen Health Service Coop), forming from a group of local residents (including the local chemist and the chair of the local school’s P&C Association) who in 2006 identified the shortage of GPs in their area and the need to do something about it. Since that time, it has had steady growth year-by-year – growth which has been largely unrecognised in the social enterprise/social investment sector, despite many articles being produced on this “success”. The NHC now covers 10 per cent of the population of Canberra and offers primary health services in low income suburbs which were almost entirely uncovered by such services previously, through the nine GP clinics it has opened in that time. NHC is about to open its 10th clinic – see the photo of the building work here. NHC has expanded also into rural areas bordering the ACT, with the service employing over 90 staff, more than comparative social enterprises operating over the same time period have created. NHC operates on a not-for-profit business model/legal structure called a consumer cooperative which is member funded through a process known as “community investment”. This structure is the “original” social enterprise structure from which the current definition of social enterprise was derived last century, and like most “sustainable” social enterprises, it has been operating with a surplus for several years and requires no revenue subsidy. Looking forward to continuing the conversation on social enterprise legal models in the coming year. 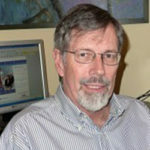 About the author: Alan Greig is the co-ordinator of the Social Enterprise Legal Models Working Group. He is a board member of Employee Ownership Australia Ltd and a director of Mercury Cooperative Ltd.